After some consideration, I’ve decided that if I’m going to do circles, I’m going to do CIRCLES. So I pulled out my FMQ practice party fabric and gave it a go. It was ok. But the second and third went better. And I hope after a little wash and crinkle it will look more even. And check out the back. I’m happy so far. Then I have to figure out how to quilt the background. 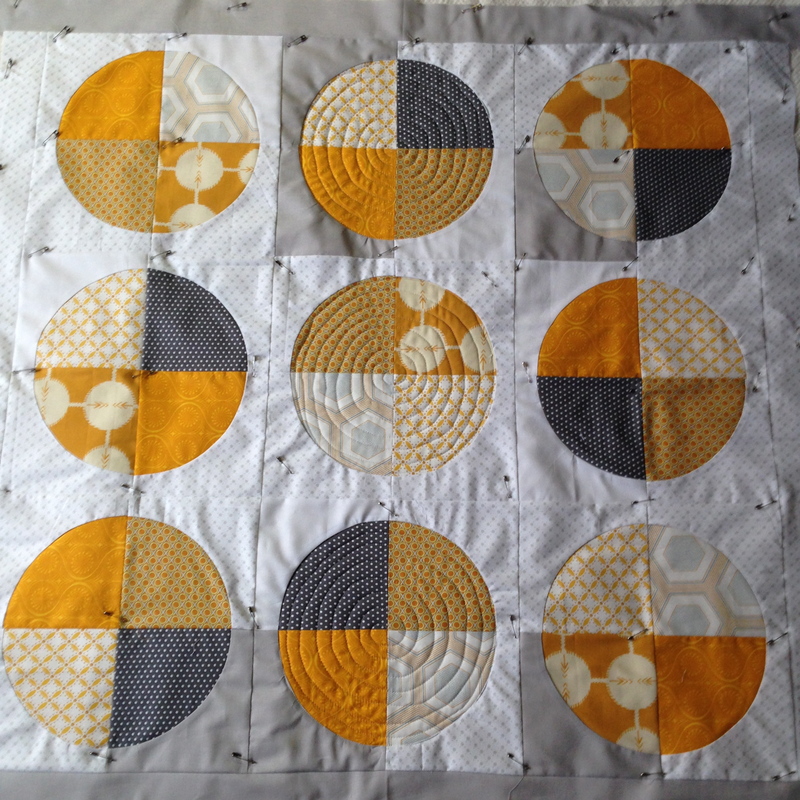 Linking up with Freshly PIeced for WIP Wednesday. Keep at it, girl! You’re doing great. As for me, I am quilting straight lines! Now, on the DSM, that would be fairly easy. On the long-arm, it’s not as much. So I’m learning little tricks with that. We’ll get there. I published a few days ago about how long it takes to get good at something. Twenty hours of practice at anything will make huge improvements. So we’ll keep at it, yes? Yes! Thanks for the cheerleading, and for posting your link. I didn’t get to read much over the weekend. I’m definitely going to pass this along. 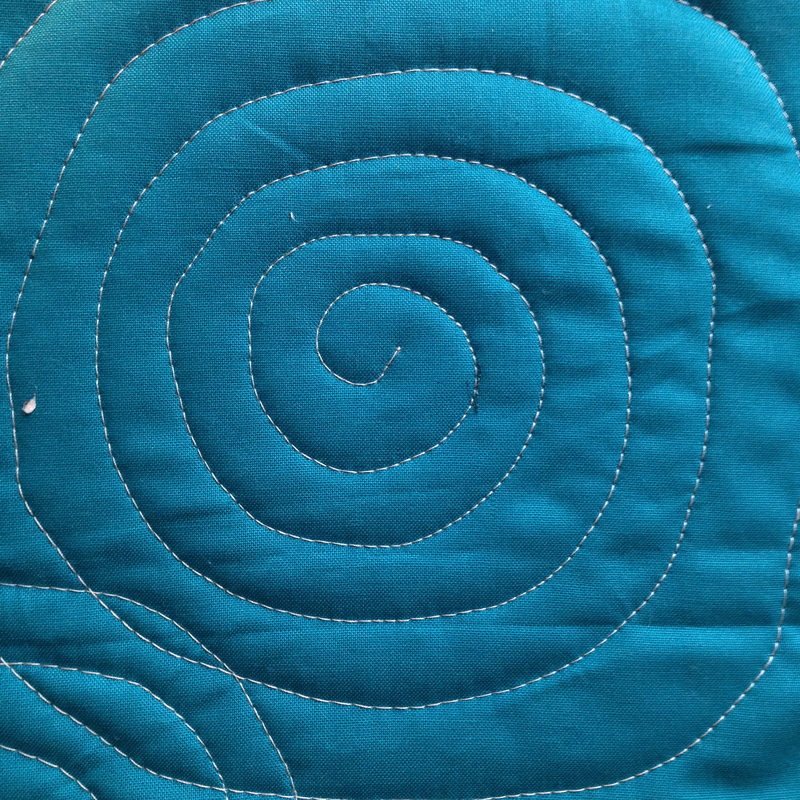 It’s great, wobbly is allowed, the quilting police are elsewhere this month. And the background, well, straight lines would be a great contrast to the circles, wouldn’t they, and we’ll let you be really straight to contrast with the wobbles! Ha! The quilting police. I was thinking straight lines too. Glad to know someone else did. Those look great on the quilt! And you are totally right, after washing any wonkyness will disappear! Love it! I personally think they look great. You keep be brave, girl! That is how we get better at anything. Woo hoo! They look great! Ah, yes, you know I am a fan of straight lines. ; ) Would be a nice contrast to the circles. Really pretty quilt, and great job with the quilting so far! I love this! The colours are great and the quilting really shows it off. I think it looks awesome, and I’m sure washing it will just make it even better! 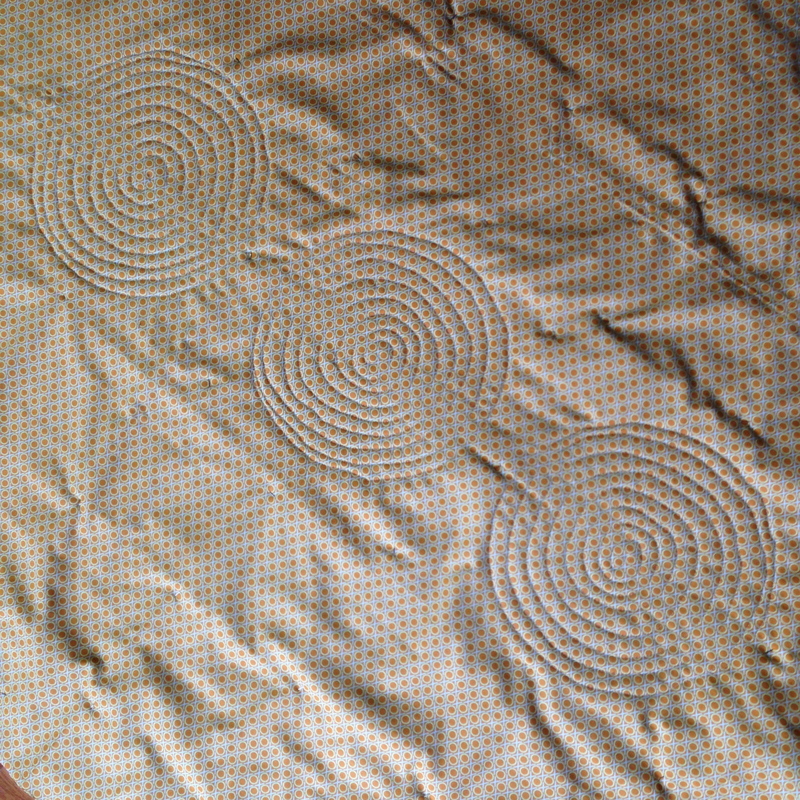 Circle quilting was perfect for the quilt pattern. From four feet, no wobbles will show, and washing. Yep. They are fine. 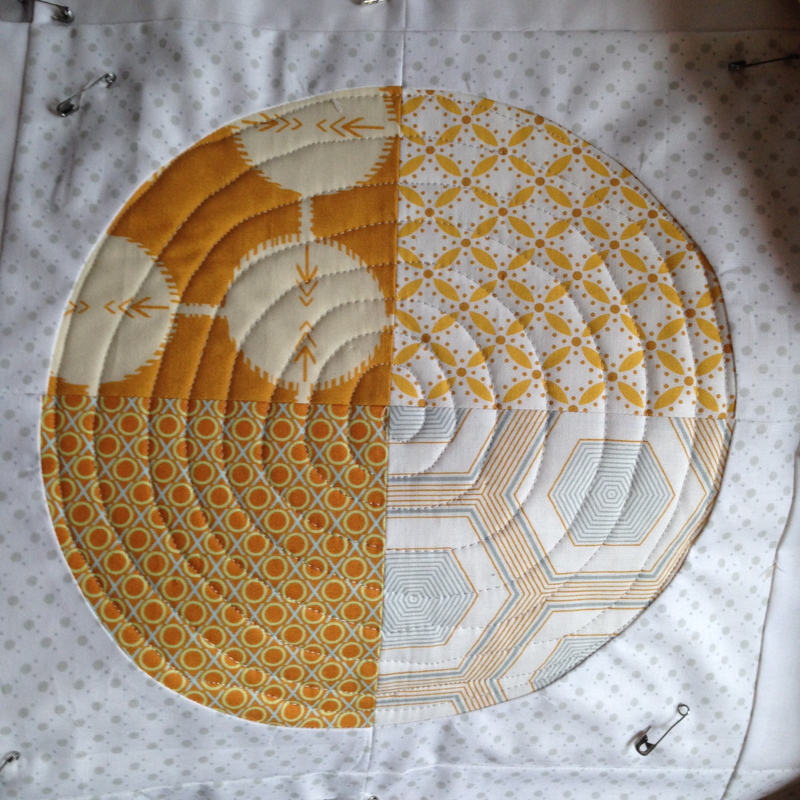 Love the fabric choices, and the quilting! Beautiful work.